Getting a complicated and function-packed product such as AdGuard for Windows to a release state is never easy: after each implemented fix or improvement there always seems to be yet more room for "one last touch". However, it's about time we wrapped up all cumulated updates to roll out the fresh version of our program. This version makes a strong accent on the Networking issues. This doesn’t mean everything else was abandoned, on the contrary, there’s been a lot of ad blocking and UI-related fixes and improvements, it's just that the network-related fixes happened to be the most important ones. Oh, and let’s also not forget about the improved Popup Blocker! 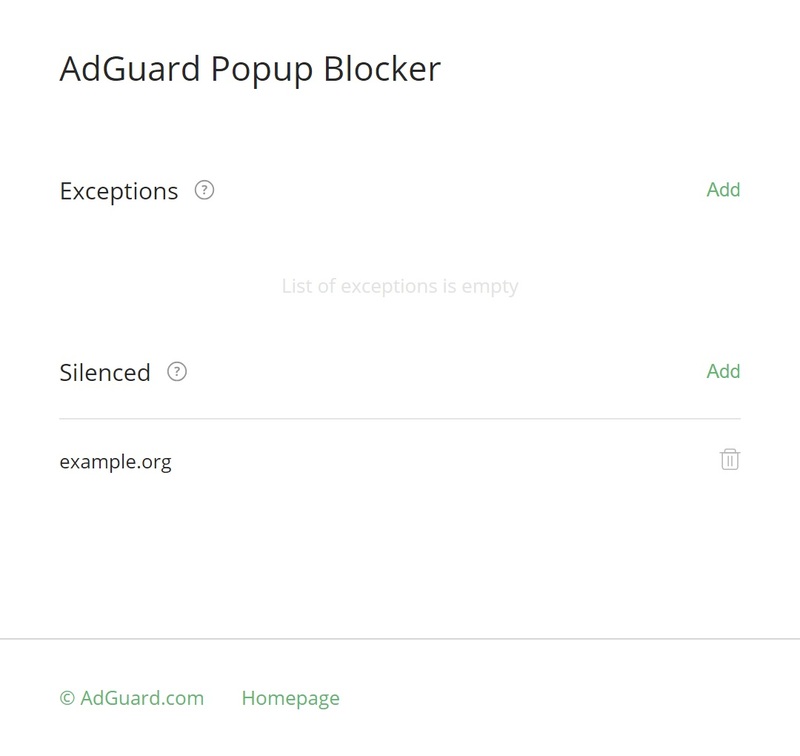 Popup Blocker is an extension (userscript) that is added to AdGuard by default. As it’s clear from its name, it helps block various popup windows (most of which are all kinds of ads). It’s been around forever, but the new version for the first time features its own UI accessible from “Extensions” settings tab. You can whitelist websites there or disable notifications for certain websites. The blocking capabilities have been improved too, of course. This one probably requires a little bit of explaining. AdGuard needs to reset network connections when it starts/restarts its service in order to properly filter them. 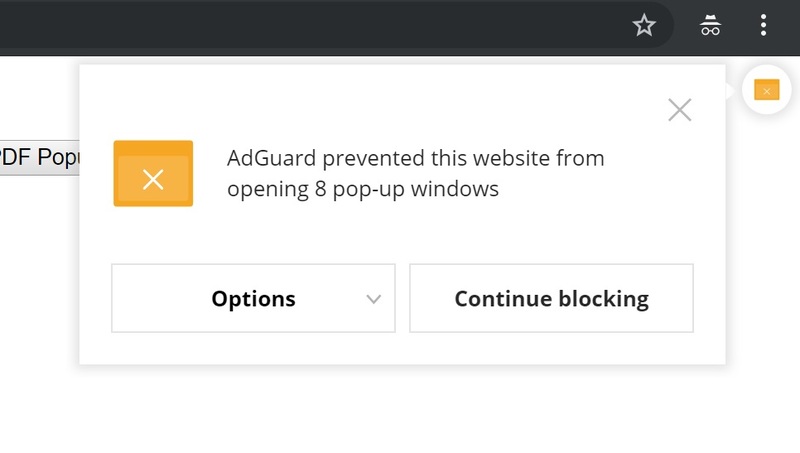 What AdGuard doesn't have to do is resetting connections that it is not going to filter anyway (think of whitelist and some non-browser apps). So from now on, only relevant connections will be reset, as simple as that. The current way of whitelisting apps from filtering for WFP driver has been extended to TDI driver. Not sure what's the difference between those drivers? Don't worry, the important part is, this change allows to avoid compatibility issues with other software, especially with antiviruses. TLS is a web protocol that is essential for today's Internet. Up to this moment we were using a draft of TLS 1.3 technology (#2155), as we always wanted to be at the cutting edge. Now, as TLS 1.3 standard was officially accepted by IETF, we are happy to say that AdGuard supports the most modern encrypting standards. Note: some antiviruses (cough Avast cough) are still using the older version of TLS (v1.2), so in order to avoid compatibility problems we switch to TLS 1.2 if one of these AVs is detected on the PC. As always, we don't mention here less significant but numerous other fixes and micro-improvements, but be sure that they have been deployed, forming a solid foundation for best user experience and the future of the product's development. If you are dying to see the full changelog, head over to GitHub, as usual.